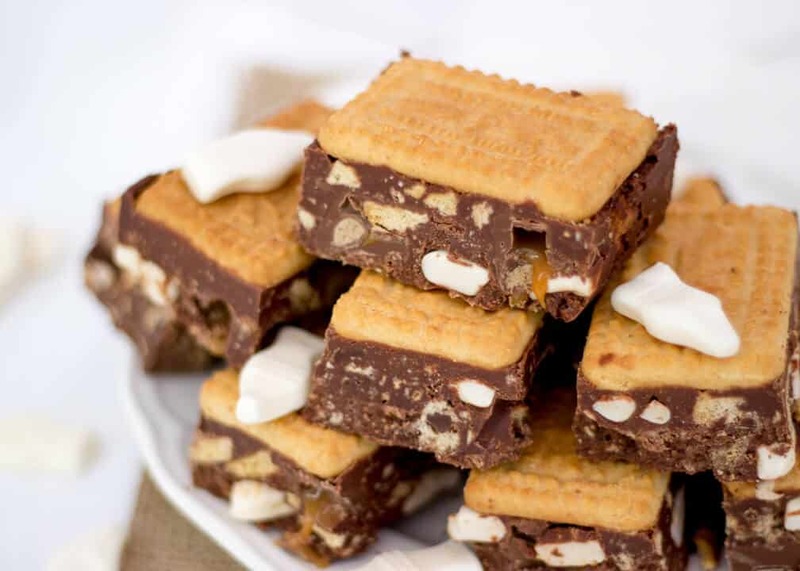 Malted Milk Munchies Tiffin is something that you NEED in your life. You didn’t know it until now, but trust me, you do. 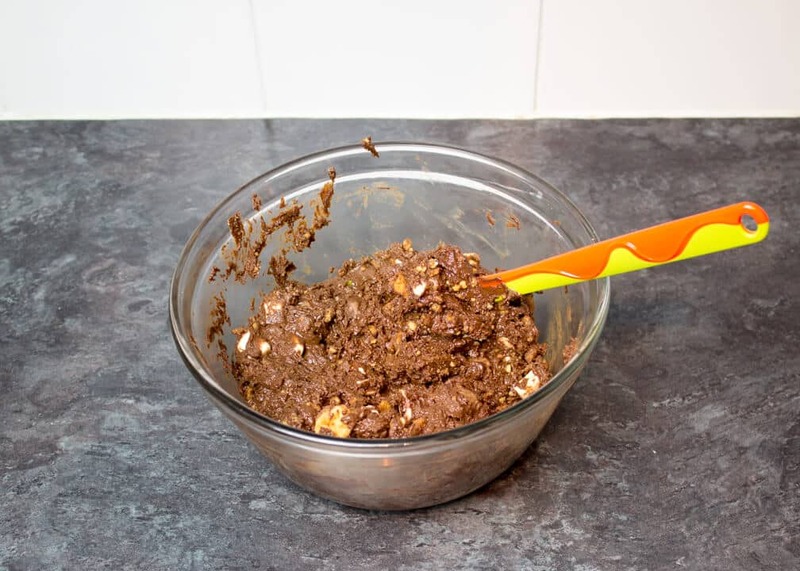 It’s a super quick & simple no bake treat that everyone will love! Packed with awesome things like Munchies, cookies & milk bottles, you know this is going to be a gooden! Here is what you will need to make 13 large bars. First of all, line your tin and set to one side until needed. 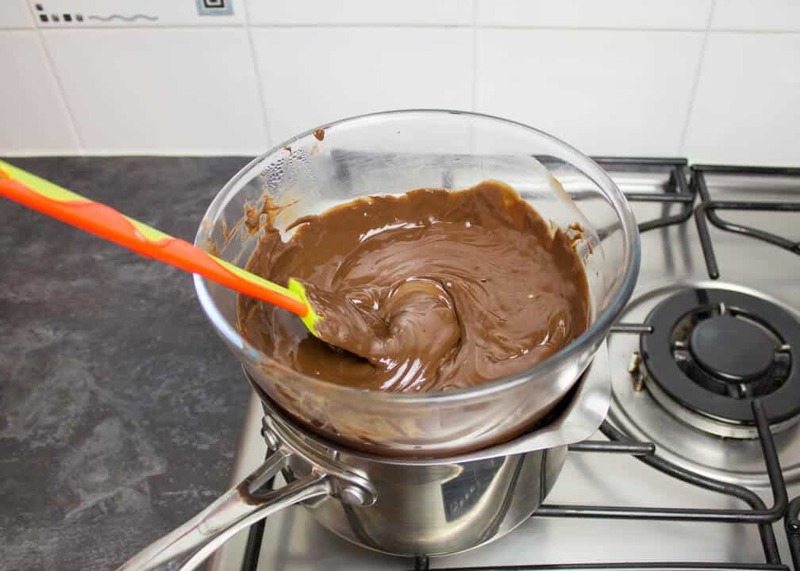 Add the butter, golden syrup, dark & milk chocolate into a large glass bowl. Then melt gently by either setting over a pan of barely simmering water and stirring or heating in the microwave in 15 second intervals stirring well between each blast. Allow to cool for a few minutes while we get on with the next part. 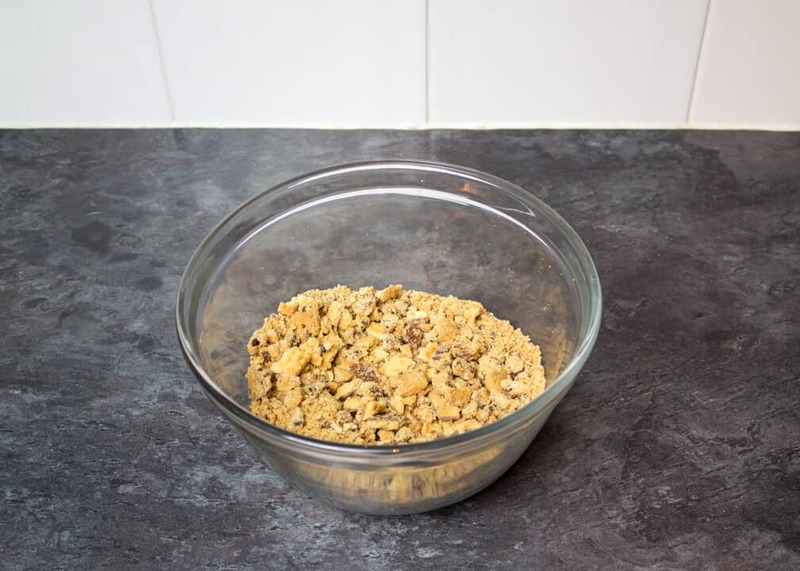 Next take 13 biscuits out of the 200g Malted Milk Biscuits and place the remaining ones into another large bowl along with the choc chip cookies. Crush into smallish pieces/crumbs using the end of a rolling pin. Then add the Munchies and the halved milk bottles. 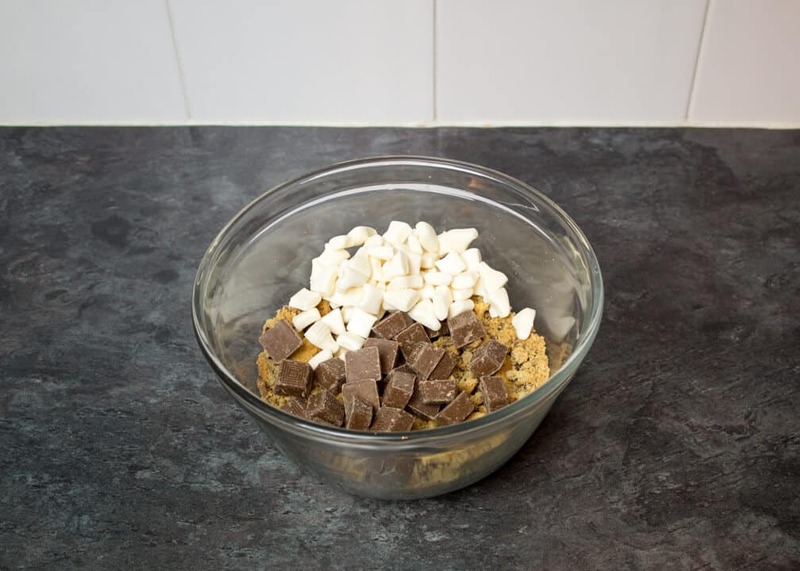 Pour the melted chocolate mixture into this bowl and give it a good mix until everything is nice and coated. Then tip the whole lot into your prepared tin and press in firmly with the back of a metal spoon. 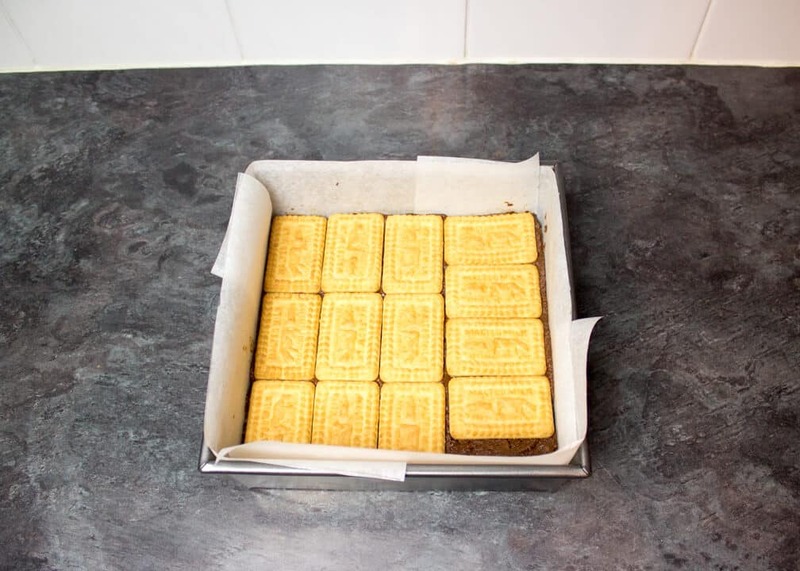 Finally, take those reserved malted milk biscuits and press them into the top like the image below. Then pop into the fridge to set for 2-3 hours or overnight. 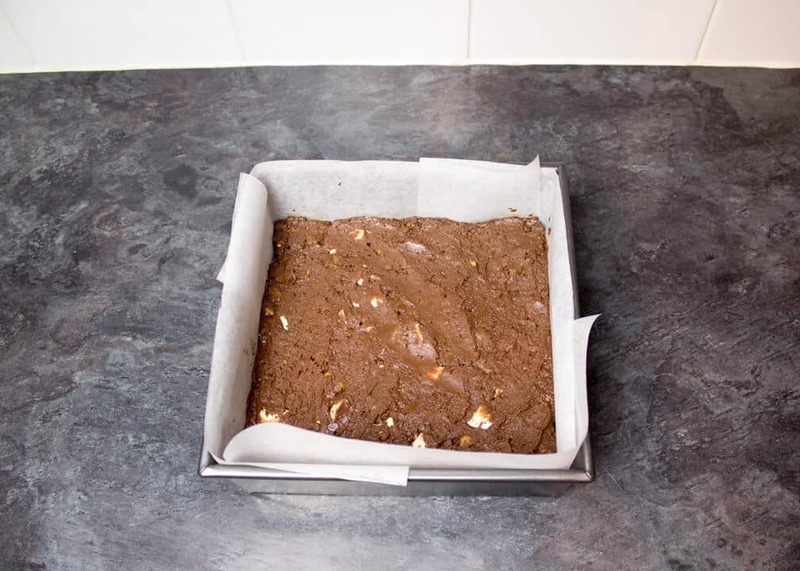 Once it’s set, you can slice into bars and treat yourself to that extra little uncovered bit at the bottom. Go on… you deserve it! 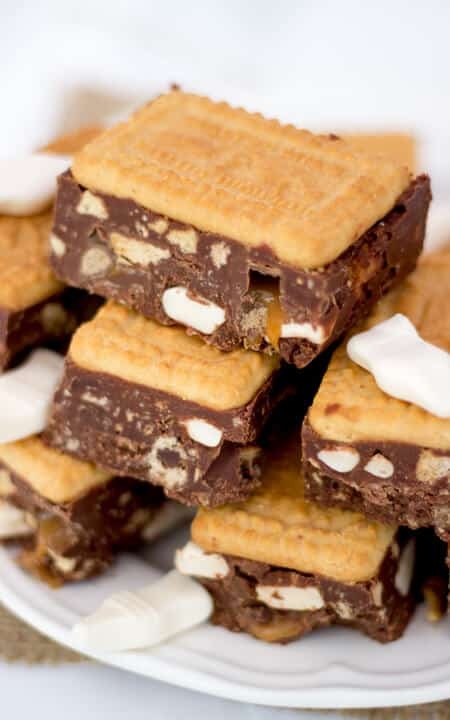 As a result of all your pain staking hard work, you and your friends can now kick back with a nice hot cuppa and a piece of this gorgeous Malted Milk Munchies Tiffin. Furthermore, you will probably be asked for the recipe/be held at ransom and forced to make another batch. Because this is awesome and so are you for making it! May or may not be drooling over here. I LOVE this idea! Looks simple, delicious and different than most no bakes. Need to try this one soon!